Italy is home to exceptional food that's the combination of various flavors and textures. This includes pizza pies and their less popular yet as exceptional counterpart—calzones in Beaver Dam. What Are Calzones in Beaver Dam? Often loaded with melted, bubbly cheeses, juicy meats, and fresh veggies, calzones in Beaver Dam are referred to by some as the "folded pizza." However, calzones in Beaver Dam are more than that. Calzones in Beaver Dam may feature the same ingredients as a pizza, but the cooking and presentation of the former are something else. For this reason, calzones in Beaver Dam deliver a new and different eating experience to diners and foodies. Compared to calzones in Beaver Dam, a hearty pizza is more for sharing than eating alone. The slices are distributed and enjoyed by a group, the members of which are usually sat at a table. Conveniently smaller, calzones in Beaver Dam are associated with a different scenario. 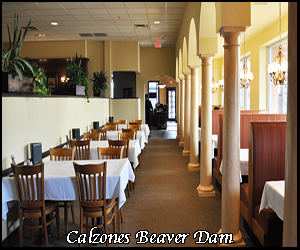 Calzones in Beaver Dam are an ideal Italian food for one person and can be eaten on the fly when there's little to no time for stops. Additionally, unlike a pizza, calzones in Beaver Dam may be fried without the use of a fancy oven or kitchen tool, which means you can knock precious minutes off the preparation time. This makes calzones in Beaver Dam the ideal portable food for lunches. At Benvenuto’s Italian Grill, we want to give our calzones in Beaver Dam an authentic Italian taste as much as we do our pizza. Our signature calzones in Beaver Dam are all made from the freshest ingredients and cooked to perfection, which is why our customers keep coming back. These calzones in Beaver Dam are the perfect combination of chicken, red onion, BBQ, and pizza sauce made with our five-cheese blend. Our three-meat calzones in Beaver Dam, with their pepperoni, ham, Italian sausage, five cheeses, and pizza sauce, take our customers on an unforgettable culinary journey. These delightful calzones in Beaver Dam are made up of Italian sausage, portabella mushrooms, and pizza sauce with our five-cheese blend. Our Tuscan chicken calzones in Beaver Dam are an irresistible Italian treat to many, made with chicken, artichoke hearts, sun-dried tomatoes, mushrooms, and basil pesto with our five-cheese blend. Seasoned chicken and broccoli, mixed with our five-cheese blend and alfredo, make up the delectable Italian food that is our chicken broccoli calzones in Beaver Dam. We give our customers the option to build their own calzones in Beaver Dam! The default ingredients are our five-cheese blend and pizza sauce, and you're free to choose your favorite fillings. To maintain the uncompromising quality of our menu items, we buy only all-natural, local ingredients from trusted sources. This allows us to steer away from additives and preservatives when we prepare our calzones. We understand that everyone has unique palates and preferences. This is we offer various options when it comes to our calzones. Depending on your special diet, dietary restrictions, and allergy concerns, we’ll prepare our calzone so that you can enjoy it as much as possible. For the best of traditional Italian food, come to Benvenuto’s Italian Grill. We offer a large, diverse selection of Italian-themed menu items for a dining experience that’s nothing less than superb. Dine at our restaurant today! Contact us for reservations and orders.